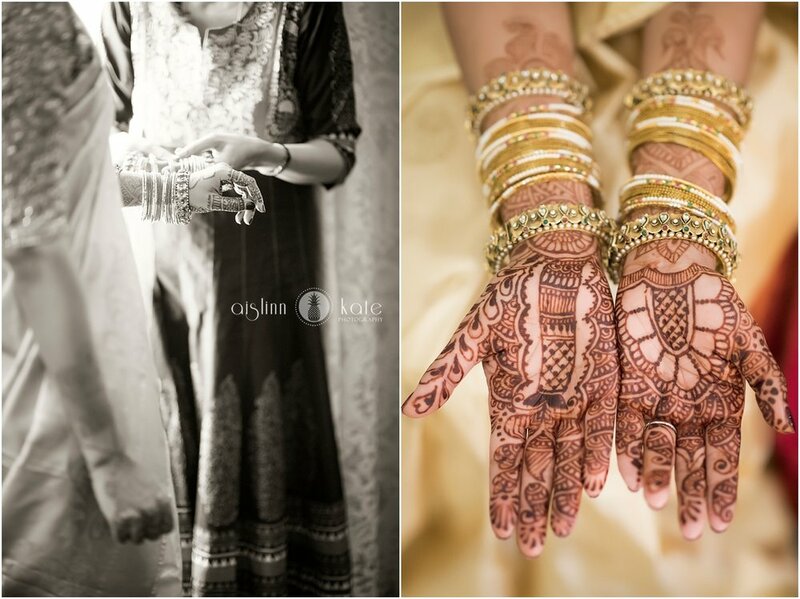 It’s official – I love photographing Indian weddings. I’ve only the opportunity to photograph a handful of them, but they are truly some of my very favorite experiences and I hope I have the chance to be a part of many, many more. I enjoy that the wedding experience spans multiple days; even on the day of the actual marriage ceremony, the day is full from sunrise until, well, the next sunrise, with intimate moments and traditions that include not only the bride and groom, but their entire families. 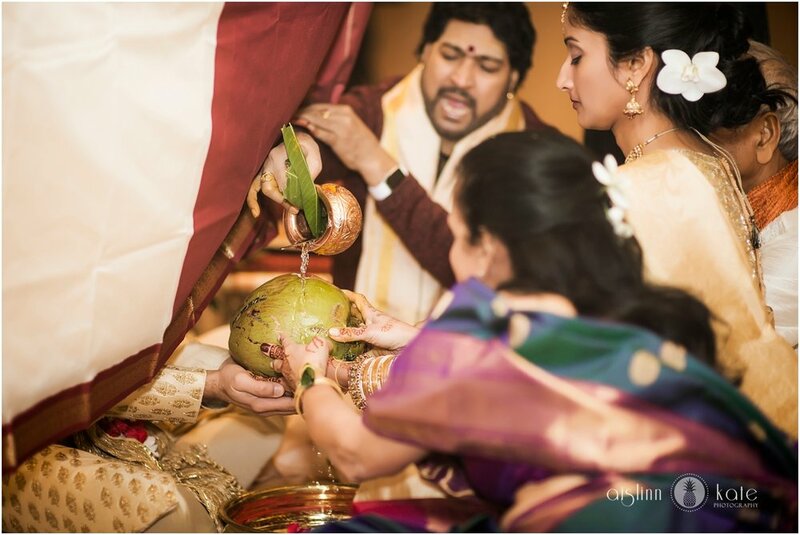 Vidya and Sumeet’s nuptial experience was incredible. 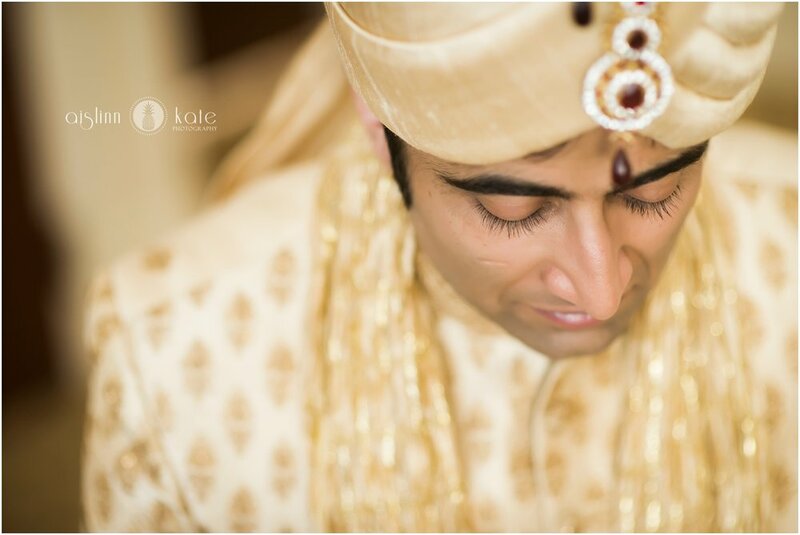 I started out on Friday by photographing the sangeet, which was a great way to meet both families. On Saturday, we started at 6am in the gorgeous Governor’s Suite at The Battle House. 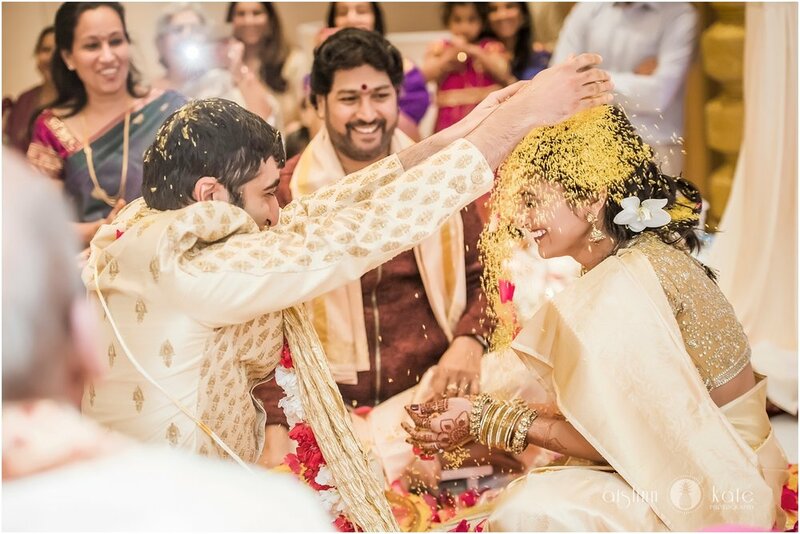 Vidya’s cream and gold wedding sari was stunning, and I enjoyed how much dressing the bride is a group affair (and after seeing how much detail went into folding the sari properly and selecting the jewelry, I see why!). 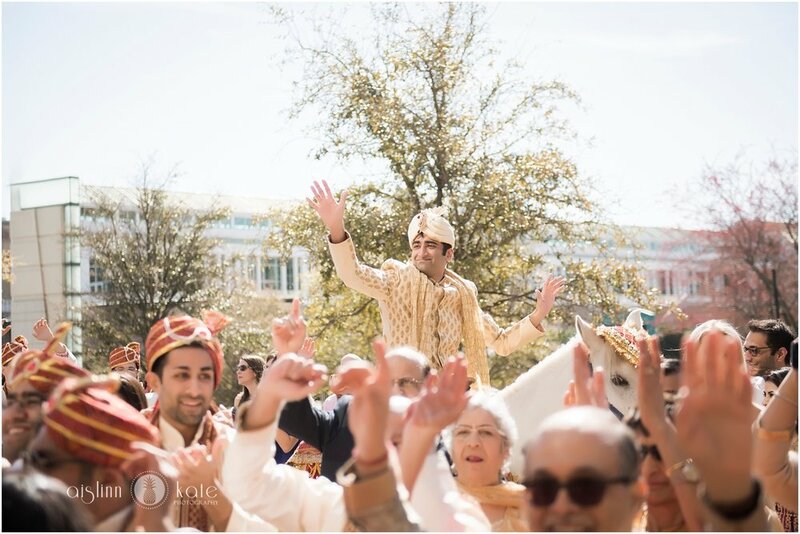 Although this wasn’t my first Indian wedding, it was my first baraat – which has now become my very favorite wedding tradition in any culture! 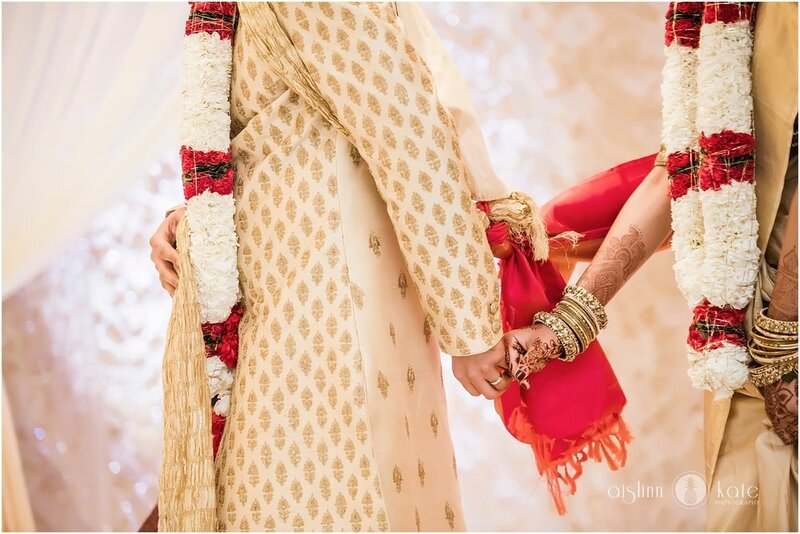 Sumeet explained it to me as the traditional arrival of the groom to the ceremony. In actuality, what happened was this: Sumeet walked into the streets of downtown Mobile with about 60 family members (and some friends), and mounted a horse (who was adorned with his own gorgeous wedding-day horse outfit). A dhol-player (a dhol is a traditional drum) started a beat and a mobile DJ began blasting some tunes, and everyone literally danced their way around the block, with cars slowing down to rubberneck this incredibly high-energy and colorful parade. 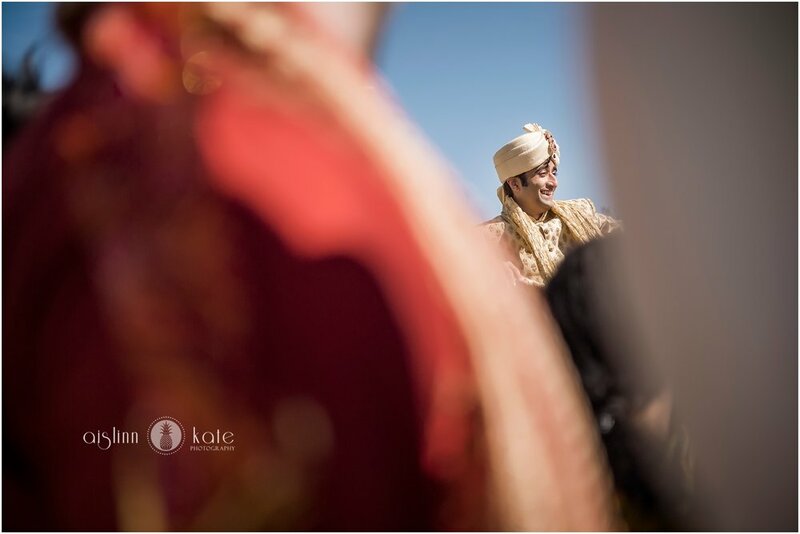 The baraat ended with Sumeet being officially welcomed by Vidya’s parents (and the bride’s entire family). 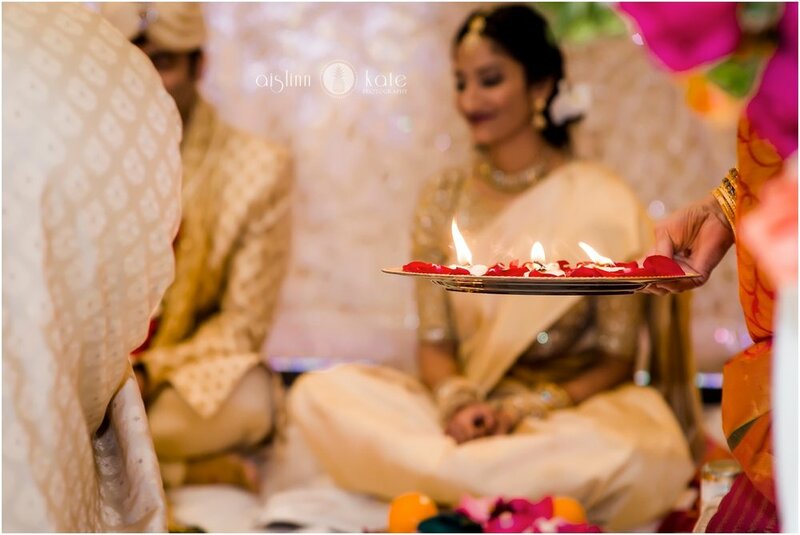 The ceremony took place in the Moonlight Ballroom at The Battle House, with a large custom mandap, draped with flowing white fabric and backed by a gorgeous beaded backdrop. The two-and-a-half our ceremony was rich with traditions, and I absolutely loved seeing everything through a child’s eyes. 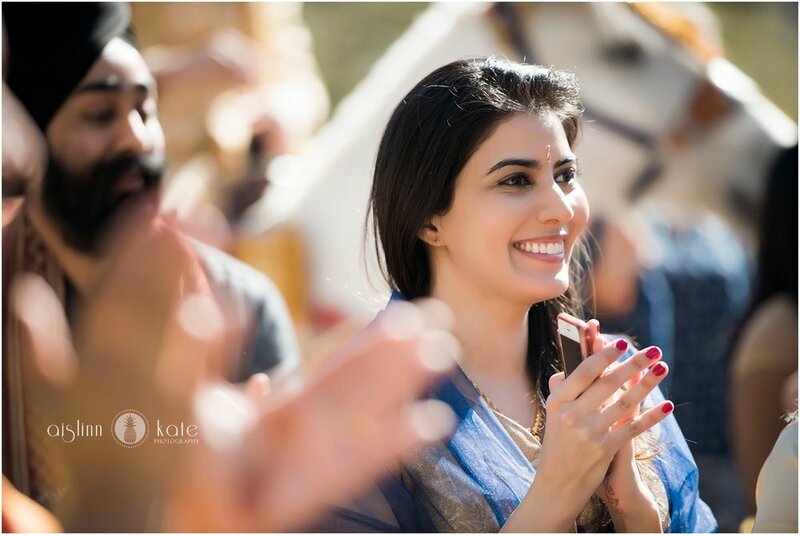 My team and I delighted in every new experience, laughed along with the family, and worked hard to make timeless and beautiful photographs for Sumeet, Vidya, and their families. After a complete wardrobe change (Vidya’s pink and gold bridal lehenga was stunning! 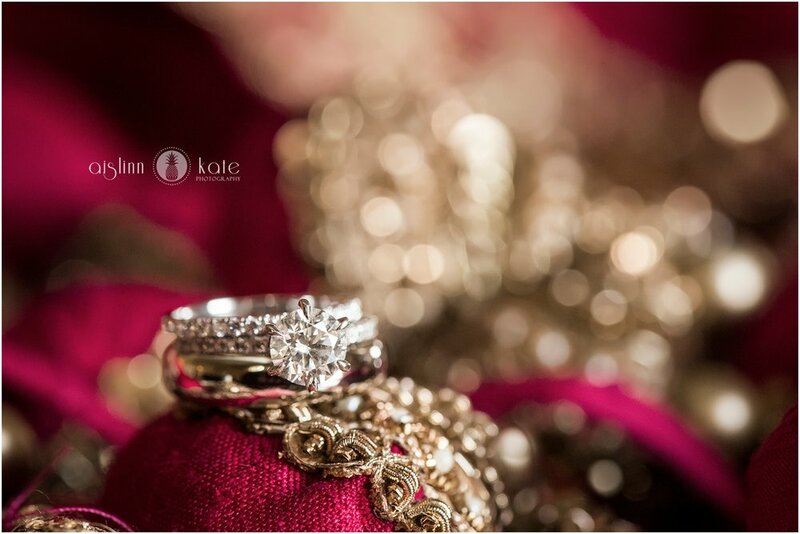 ), the couple joined their guests that evening for a beautiful cocktail hour and full reception. The DJ played a perfect mix of Indian and American music, encouraging every person of every generation to dance the night away on the huge dance floor. I said goodbye at midnight and danced my way back to my own hotel room, with adrenaline coursing through my veins, excited to start viewing the photos from what was an absolutely magical day. 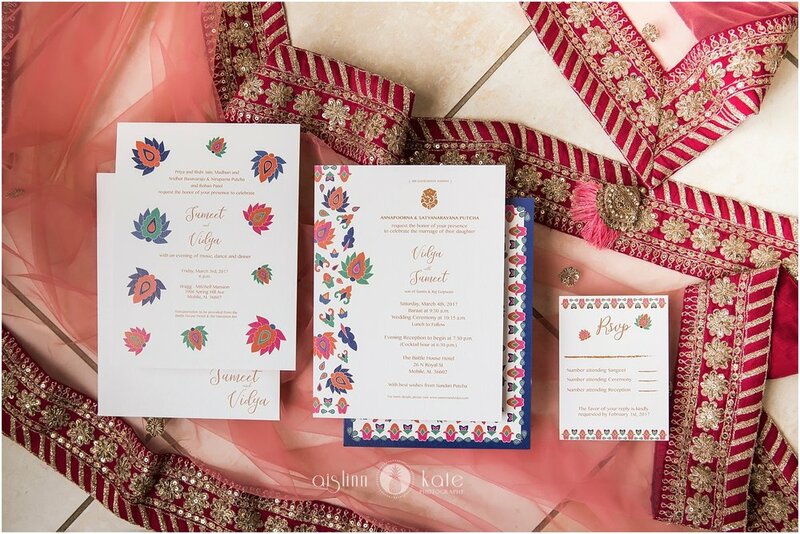 THANK YOU to Vidya and Sumeet for asking me to be a part of your wedding. These photos are some of my favorites of my career, and I am so appreciative of your willingness to teach me about your traditions and allow me to see it all through my lens.